Nowadays the Android smart phone or Tablet using with a large number of users, the Android Operating System is moving fast to upgrading and including with advance featuring, And get improve the new software’s. 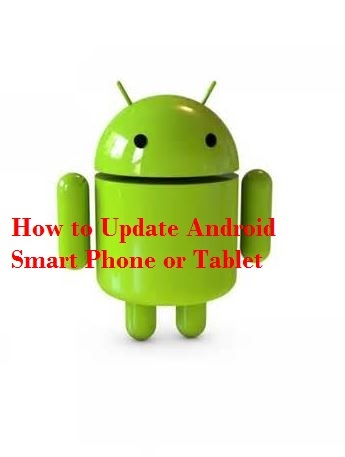 Today we share some easy step to update Android Smart Phone or Tablet, To get better performance and new feature, you should make sure you’re running software is latest version of the Android Operating system. The latest version is 5.1.1 Lollipop, KitKat version 4.4.X, 4.3, 4.2 and 4.1 before all version names Jelly Bean. Step 5: In this step you find out ‘Software update’ click on this option, Setting/About phone/software update, your smart phone or tablet is searching for available software, And find out the latest version then ask you about to install you wish to install then click on the yes button. Note: For the above method you required WiFi connection with good signal cause the updating software size can be large.